Imam Mahdi will be an excellent, just, and generous ruler. His face will resemble to our Prophet Muhammad (sallallahu alayhi wa sallam). Imam Mahdi will be born in Madina and will grow up there. When Imam Mahdi reaches the age of forty, the king of the Muslims in Madina will die. Everyone will want Imam Mahdi to become King, but Imam Mahdi will not want to become the king. 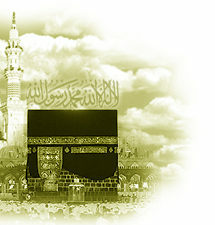 Imam Mahdi will go to Makkah and hide in a Muslim's house, but the Muslims will look for him and find him. The Muslims will take him to the Ka'bah and will all start to bear allegiance to him. When the Muslims will bear allegiance to him, a voice will be heard, "This is Allah's Khaleefah, so do whatever he says." Everyone will hear this voice. Imam Mahdi will then become the King, and he will be very well known throughout the world. The King of Syria at that time will be envious of Imam Mahdi and will send an army to try and overthrow him. When the army reaches the area between Makkah and Madina, the entire army will sink except for two men. One man will go back to his King and tell him that the entire army has sunk. The other person will go to Makkah and tell Imam Mahdi that they came with an army, but it sank into the ground. He will then bear allegiance to him. When people find this out that Imam Mahdi's enemy have sunk into the earth, he will become even better known and famous. This will happen at the time when the Christians will govern the land between the area of Syria, and city Khaybar, in Arabia. Turkey will also be under Christian rule. Imam Mahdi will gather an army together to fight against the Christians. The king of Persia, (Iran) whose name will be Mansoor, will send a big army to help Imam Mahdi. When the Christians, find out that the Muslims are getting together, they will gather their army from Rome, Arabia, and other lands, and assemble in Syria. At this time, the Christian military will have seventy different flags. Under each flag there will be twelve thousand soldiers. Imam Mahdi will move from Makkah to Madina. From there, he will go to Syria. The war between both armies will take place near Damascus. One part of Imam Mahdi's army will run away, another part will be martyred, and the third part will defeat the Christians under Imam Mahdi's leadership. Imam Mahdi will win the war, but many Muslims will be martyred. After this Syrian war, Imam Mahdi will go with his army, to Istanbul and fight the non-Muslims there, with the help of Allah. After all this a day will come when Imam Mahdi will hear the news that Dajjal has come. He will send five hundred people to find out if this news is true. When these people return, they will say that this news is false. Prophet Muhammad (sallallahu alayhi wa sallam) said that, these five hundred people will have the highest status in the world at that time. When Imam Mahdi hears the news that the coming of the Dajjal is false, people will start living a better life, but after a very short while, Dajjal will appear.